The page already has 3,245 "Likes." St. John's Abbey is a Benedictine Monastery in Collegeville, Minnesota. 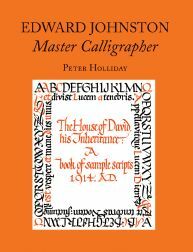 Donald Jackson is the official scribe and calligrapher to the Crown Office of United Kingdom of Great Britain and Northern Ireland --- i.e., Queen Elizabeth the Second and her staff. Jackson developed a whole new font specifically for the Saint John's Bible. The font is new, but closely related to a traditional font. The old Latin fonts did not need so much space for the ascenders and descenders as the Roman alphabet we use in English today. 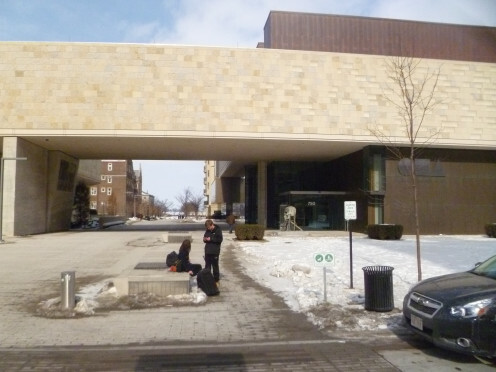 Two Exterior Views of the Chazen Museum of Art. The Committee on Illumination and Text of St. John's Abbey, in Collegeville, Minnesota, approved of everything in the St. John's Bible. But, most of the work was done in Wales. Online Exhibit of the St. John's Bible at the Library of Congress website. The St. John's bible uses medieval techniques and modern collaboration to create a beautifully illustrated and handwritten book that tells the stories of the bible with stunning artistic impact. 1. Click here to see the opening page of the Pentateuch volume. Containing Genesis, Exodus, Leviticus, Numbers and Deuteronomy, or the Torah. 2. Click here to see the opening page of the Historical Books volume. Containing Joshua, Judges, Ruth, 1 and 2 Samuel, 1 and 2 Kings, 1 and 2 Chronicles, Ezra, Nehemiah, Tobit, Judith, Esther, 1 and 2 Maccabees. 3. Click here to see the opening page of the Books of Psalms volume. Containing Psalms 1 through 41, and Psalms 42 through 150. 4. Click here to see the opening page of the Wisdom Books volume. Containing Job, Proverbs, Ecclesiastes, the Song of Solomon, the Wisdom of Solomon, and Sirach. 5. Click here to see the opening page of the Prophets volume. Containing Isaiah, Jeremiah, Lamentations - Baruch, Ezekiel, Daniel, Hosea, Joel - Amos, Obadiah - Haggai, Zechariah - Malachi. 6. Click here to see the opening page of the Gospels and Acts volume. Containing Matthew, Mark, Luke, John and Acts of the Apostles. 7. Click here to see the opening page of the Letters and Revelation volume, Containing Saint Paul's Letters to the Romans; St. Paul's Letters to the Corinthians, 1 and 2; Galatians, Ephesians, Philippians, Colossians, 1 and 2 Thessalonians; 1 and 2 Timothy; Titus; Philemon; Hebrews, James, 1 and 2 Peter; 1, 2 and 3 John; Jude; Revelation (Apocalypse). I was a little surprised that the Seven Days of Creation seemed to be so minimal. But, when you see it closely, it turns out not to be so minimal after all. There are many things going on there. What seemed simple at first, turns out not to be. When I looked very carefully, I saw that the art is actually richly detailed, and filled with ---- well, everything I could think of: Light. Earth. Trees. Plants. Going all the way to the right, with the Golden Seventh Day -- the Sabbath, Shabat. Along the way, many golden squares. Order. Starting on the left, with Chaos, Void. G-d makes Order from Chaos. The Third Day has images from the Hubble Satellite. The Sixth Day has images from the cave paintings at Lascaux. The silhouette of a raven is superimposed on Days Three through Five. The raven is a Benedictine symbol for messages, or prayers, going up to Heaven. Apparently there are some folks who feel that the art in the Bible is "tacky". Well, I was shocked --- a little --- when I first saw it. I expected more floral, symmetry, and curves, as in the older scriptural art. At first, I would not have said I loved it. The whole project is so impressive, though --- It's difficult to criticize. When I attended the opening on December 19, 2014, that was the first time I I had ever even heard or read the word, "scriptorium". I never realized such a place existed. I'm glad it does, though. Ironically, my son and I took a short course in the art of calligraphy a few years ago, at a local college. The instructor said that calligraphy was diminished by the printing press, and then by the typewriter. 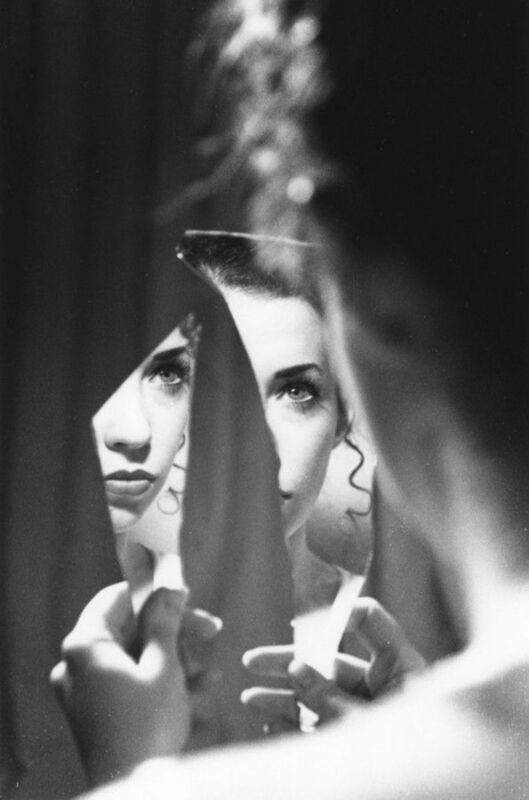 But, now it is protected as an art, and will never cease to flourish. Maybe that's what makes it so great. Some might feel that the entire project is crassly commercial. It is developing into quite a profitable franchise. Apparently Target is involved. There is also a marketing campaign at Amazon, for the Heritage Edition. Well, I don't know what to think. I can certainly understand why some call it crass and commercial. Yet --- it is definitely a modern masterpiece, and quite an impressive project. It will speak to all people, I think, in some way or another. One of the art pictures even includes the Twin Towers. Another includes a junkyard filled with "dead" cars. As I say elsewhere, there is an image from the Hubble satellite for one of the Days of Creation. 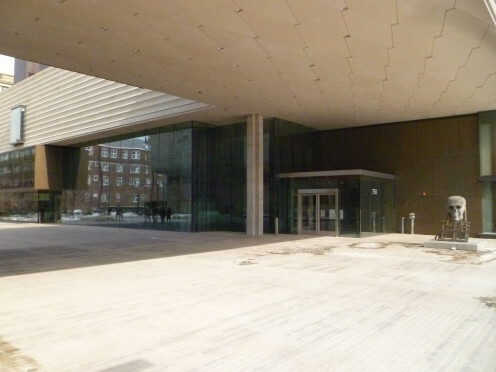 The Chazen does not allow photos inside, except for the permanent displays -- which are owned by the Chazen itself. The St. John's Bible display is not owned by the Chazen. Therefore, visitors like me are not allowed to photograph it. Therefore, I have no photos to show to readers of this article, unfortunately. The Chazen display features separate angled pedestals, each displaying a folio page, with informational cards on the wall next to the pedestal, as usual for a museum display. One card shows the artist and/or calligrapher of that page. Another, large card, or page, gives commentary, history and analysis of the text, the art and the story itself. It is very absorbing. I would like to walk and stand all day reading it all, but I have arthritis in my knees. I have to sit down a lot. They do have benches in each room. The calligraphic lettering is large enough to read directly from the biblical page, but only if you can get up close enough. Sometimes it's crowded, and folks take turns. The pages are very large, about 25 inches wide by fifteen inches tall --- folded horizontally. There are about twenty-five separate of the pedestals, each with one folio of two pages. Looking Outside from the Inside. 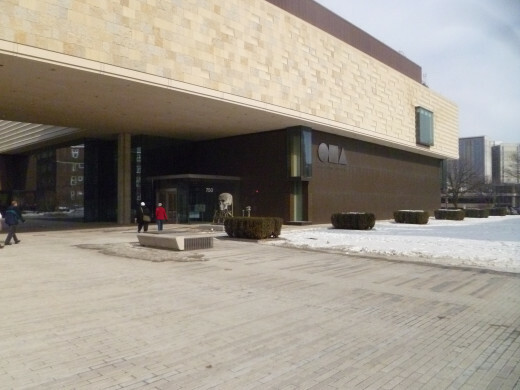 Chazen Museum of Art -- Information, Map, etc. 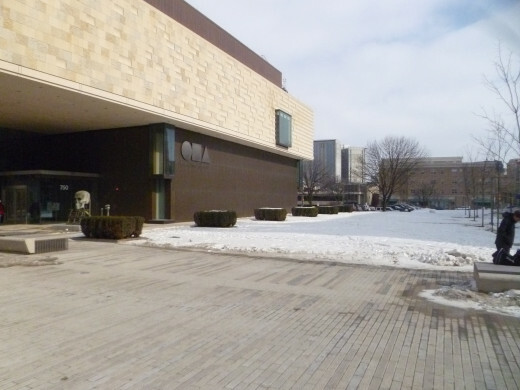 Visit the Chazen Museum of Art. View a calendar of events, news and exhibition and expansion information. 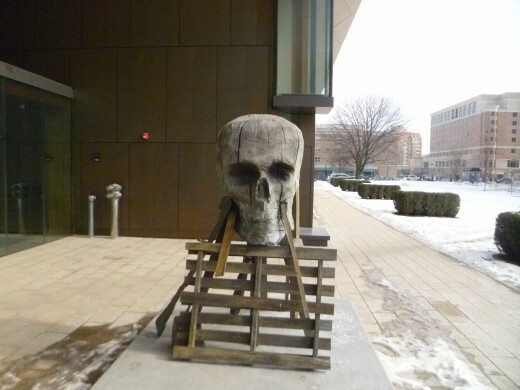 Explore Chazen's extensive online collection with over 20,000 of works of art from the ancient world to modern times. 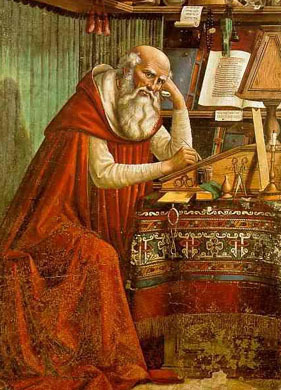 St. Jerome and The Vulgate that bears his name. The video is one of the main things I love about the entire display. It explains about how Jackson (and his staff) make the quill, the ink, etc . . .It covers everything, from the financing, to the art and the lettering. The video is about 45 minutes long, and plays continuously in a small area with folding chairs, off one of the main rooms of the exhibit. Even though it's a documentary, it's actually very touching. It's made like a Hollywood production, with great music, interviews, and cinematography. The video explains about the "tooth" of the vellum, and how the vellum is made, as well as the touch of the quill with ink onto the page. It's really more amazing that I thought it would be --- which was very. Jackson demonstrates that the iconic image of a monk with a feather quill is actually fictional, because the end of the feather would poke the monk in the eye while he was using the quill to write. It was a little humorous. In order to do the actual calligraphy, Jackson strips off the vanes on each side of the shaft of the feather. There is other preparation, as well, to make the quill tip ready to absorb and distribute ink properly. Below, you will find a link to the St. John's Bible Channel on You Tube, which contains many informative videos. I have not placed videos directly in this Hub because they can take a long time to load. You will see something very beautiful just by clicking the link. No need to even watch a video, until you have the time. As I said, they are very interesting and informative also. Lots of things to learn. We have lived our lives in the era of printing. We never really had a reason to think much about these things before. I just took it for granted that monks would sit in the cells all day and create beautiful script, without knowing how it could have happened. Dip something in something else, and touch it to the page, right?? There 's much more to it than that. I was surprised. 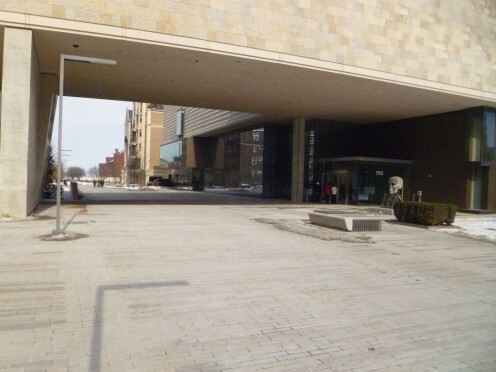 This was after the Chazen exhibit closed. Have you ever heard of the St. John's Bible? Yes, I've heard a lot about it. The Splendor of the Illuminated Book, public lecture Curator Maria Saffriotti Dale. This introduction to the history of Western illuminated manuscripts will situate The Saint John’s Bible in the continuum of handwritten and hand-painted books. List of Events in the Flyer, link above. Thursday, February 5, 5:30 p.m. "The Splendor of the Illuminated Book, " public lecture by Chazen curator Maria Saffiotti Dale. Saturday, February 21, ART-SPIN Afternoon featuring music and performances along with hands-on activities for all ages. 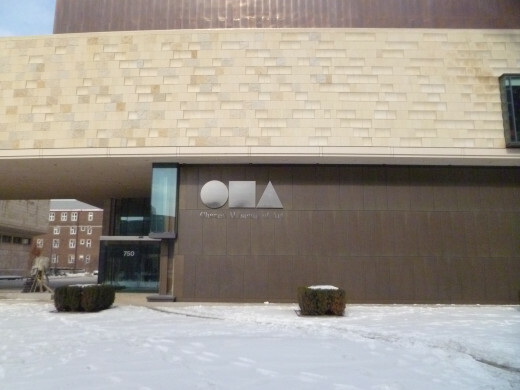 Check our website (chazen.wisc.edu) for a complete schedule in the coming weeks. Mead Witter Lobby. 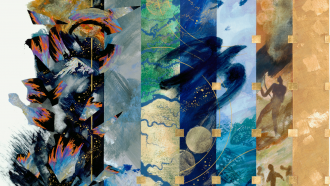 Thursday, February 26, 1 p.m.: "Visualizing and Translating Scriptures: Reflections on The Saint John's Bible" A symposium presented by the Lubar Institute for the Study of the Abrahamic Religions. For complete information and to register for public sessions visit the Lubar Institute site at: www.lubar.wisc.edu/. The Saint John's Bible celebrates the traditions, methods, and materials of handwritten sacred texts. Calligraphers of Arabic, English, and Hebrew will demonstrate and discuss their work at selected times (see below) in the Mead Witter lobby. Saturday, March 7 and Sunday March 8, 12-3 p.m.: Linda P. Hancock, a calligrapher and designer highly respected in the lettering world, from Madison, Wisconsin, will demonstrate and discuss her work. There is a link, below, to Linda's own website. Wednesday, March 11, 9:30 a.m.-12:30 p.m. and 1:30-4:30 p.m.: Rabbi Kevin Hale, a Torah scribe from Northampton, Massachusetts, will demonstrate and discuss Hebrew calligraphy as sacred text. Thursday, March 12, 1-5 p.m.: Mohamed Zakariya, a master of the classical Arabic scripts, from Washington, D.C., and Rabbi Kevin Hale, a Torah scribe from Northampton, Massachusetts, will demonstrate their work. Thursday, March 12, 6-8 p.m.: Linda P. Hancock, calligrapher in English and designer from Madison, Wisconsin, will join Mohamed Zakariya and Rabbi Kevin Hale in a calligraphy demonstration. Goodbye to that Handsome Guy! What Happens to the Bible After March 15, 2015? 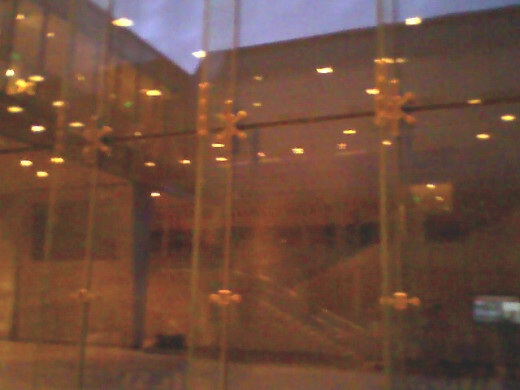 I don't know exactly where the display will be after it leaves the Chazen. I asked some nosy questions. Apparently it might be in Dover, Delaware starting in December, but in the interim it will be back home in the Hill Museum and Manuscript Library at Saint John's University, Collegeville, Minnesota. There are some other resources I have linked to in this article, as well. The Library of Congress link, above, has a wonderful online display. Then, there is the Facebook page of the Saint John's Bible. There are many other resources online. I'm trying to add them to this Hub, but have been having some tech problems. I will keep trying. Thanks so much, dear. I did kind of do a lot of work. It's nice that you appreciate that. I knew people would have many questions. This was very interesting! You have done so much work here and included so much information, great job! I have placed that link in the capsule entitled, "The Cathedral of Oakland, California, Purchases a Heritage Edition . . . " above, in this Hub. Okay, thanks for telling me. I'll find it. Thanks dear Au fait. The URL is a reference, but you won't be able to access it because it's incomplete. HP abbreviates it and by so doing renders it unworkable. Sorry about that. We're actually not supposed to include URLs in our comments. Thanks, Au fait, for that great work you've done here. The link took me to 404ville. Sorry, but I'll try to just type it in or something. Still ---- great work, and I'm glad to know. 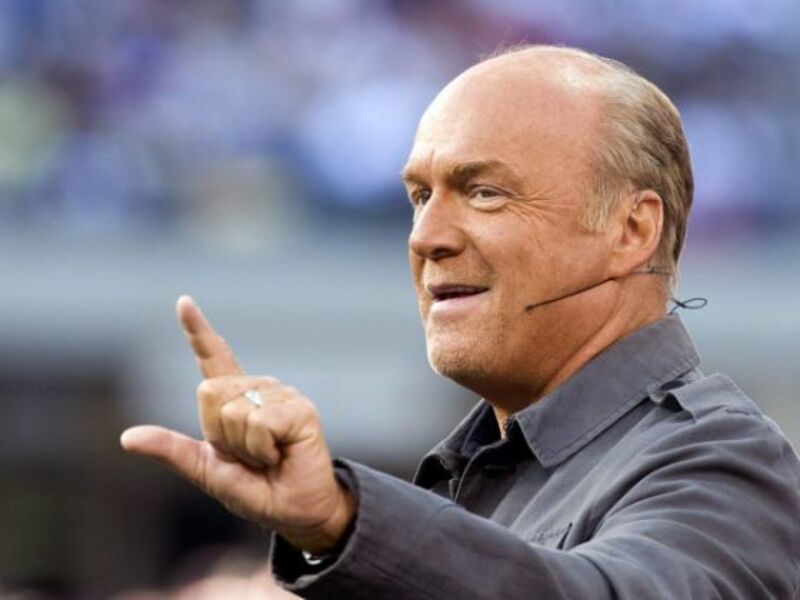 These Bibles are being printed in a limited edition in order to raise money. You'll find that most of the time when something is being sold or services are offered for the purpose of raising money, they will cost a little more than the going rate for such merchandise/services generally. When it comes to raising money for a particular purpose/cause, it IS all about the greenbacks. The more the merrier. Yes, I discussed a little about the commercialization in the article. I certainly couldn't afford any of these. I still like my old printed Douay-Rheims, or King James version. I did not know that about the 299 copies. But, I'm not surprised. It is obviously all about the greenbacks. Thanks for reading my Hub, dear Au Fait, and for commenting. Interesting an only 299 copies have been commissioned. Basically the Bible as art . . .